I’m sure that many musicians strive for infinite sustain – that endless, never stopping kind – at one time or another in their career. It seems to be such a powerful musical device, one we can easily force other musicians to stop (or at least step way back and move to the background) and listen to OUR performance. But it happens even when playing solo alone, unaccompanied. The opportunity to suddenly have a seemingly forever sounding note strongly invites the musician to spice up the music with an endless fireworks of ornaments and embellishments. Of course some instruments are naturally on the sustaining side, even if it’s not literally infinite sustain. For example horns or the bowed string family are such. We also have some that are relatively newcomers as well; the list of electric and electronic instruments, like electric guitars, organs or synthesizers is rather long. 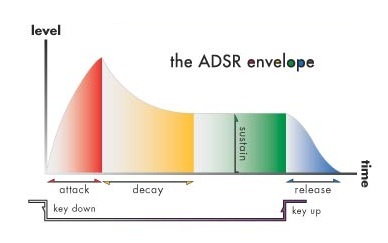 The aural image of a note stays in the memory until the next note is sounded, long after it’s decayed. With not filling every space with sound, the remaining space – the silence – between the notes becomes much more important as a musical device, bringing out the contrast of dynamics the most effectively. It also allows the system to get into a more relaxed state while listening to music, with much less risk to reach fatigue. Transients are just as powerful, if not even more so, than a long, slowly fading decay; and it’s more often than not those long sustaining instruments that are the least capable of producing healthy sounding, strong transients. There is an indisputably important role for sustain in music: to bring out the infinite and continuous nature of the pitches, which – when it comes to performing on a plucked string instrument – translates to bends (usually fretted) and slides (fretless). One thing should never be forgotten: the controller of any device is you, the musician. Just because there’s a peculiar instrument in your possession that’s capable of producing that sought after infinite sustain, it should not be overused just for the sake of it. Keeping up the listeners interest with using as much dynamics and contrast in your playing as you can will always sound more lively, colorful and pleasant than the ego ridden desire to fill every space with the sound of your playing. After all, music is not just the sounds one plays, it’s the sum of the sounds and the silence in between. Now that we have arrived to that point, we can say that, as always, a golden balance is desirable. ← Previous Previous post: The ego battle of music – originality or joy?